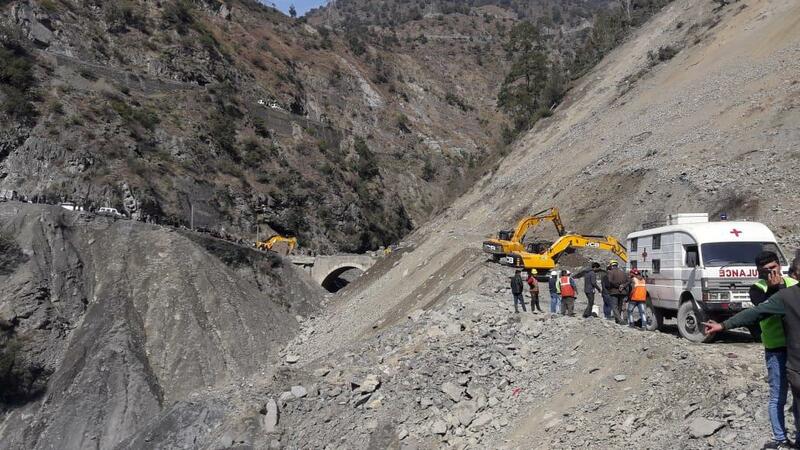 Banihal/Jammu, Feb 11: The restoration work along the Jammu-Srinagar national highway continued for the sixth straight day on Monday as fresh landslide hampered the efforts to reopen the only all-weather road linking Kashmir with rest of the country, officials said. In view of the closure of the highway, the Governor administration has directed for maintaining adequate stock of food grains, LPG, kerosene, petroleum products and other essentials commodities in Kashmir and Jammu divisions, especially in snow-bound areas. A fresh western disturbance is likely to affect the state from Tuesday evening to Friday noon. The disturbance will move from north west to south east and again the Pirpanjal range from Gulmarg to Bhaderwah which will witness moderate to heavy rain or snow, especially on February 13 and 14, the weatherman said.